TAMPA BAY, FLA (July 27, 2017) – Boulevard Burgers & Tap House is giving big for CASA. 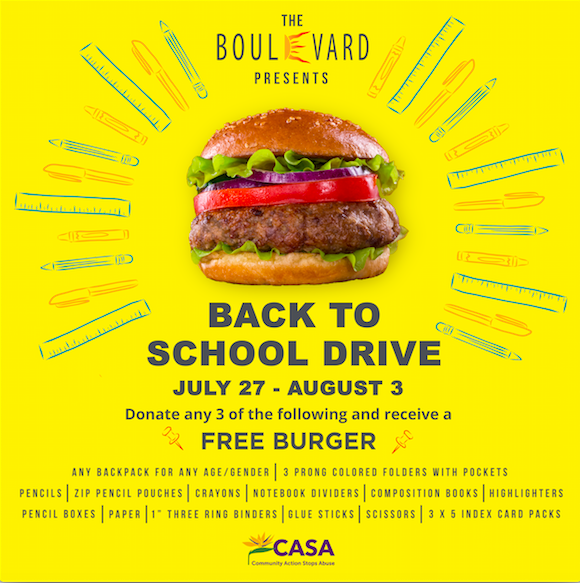 Popular St. Pete Beach burger restaurant is hosting a back to school drive from July 27th – August 3rd where guests are encouraged to bring three back-to-school items for the drive in exchange for a FREE Boulevard Burger. A list of the donated items includes: any backpack for any age/ gender, 3 prong colored folders with pockets, scissors, highlighters, 3 x 5 index card packs, zip pencil pouches, pencil boxes, paper, composition books, 1” three-ring binders, pencils, notebook dividers, crayons, and glue sticks. Guests will give the items to their server in exchange for a signature Boulevard Burger with or without cheese. 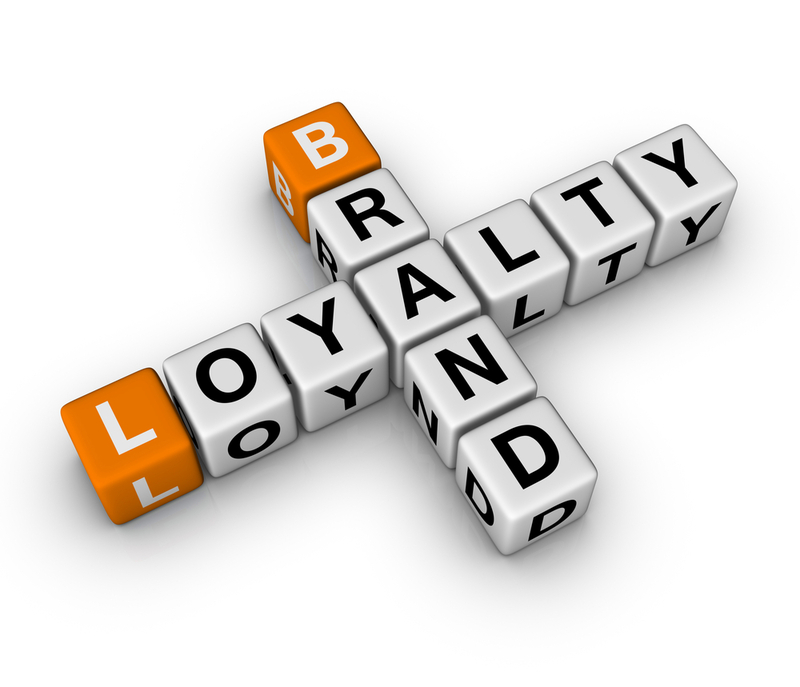 Sides and substitutions are an additional cost. Boulevard Burgers & Tap House is open for lunch and dinner 7 days a week. The restaurant features happy hour every day from 4 – 7, 15 local crafts on draft, Trivia Tuesdays, Kid Eat Free on Wednesdays, and live music on the weekends. The Boulevard is pet-friendly, offering a Yappy Hour every Saturday afternoon. Private dining is also available in the nautically acquainted dining room. CASA: CASA’s vision is a community without domestic violence so that home is a safe place. Their mission is to raise our voices against violence through advocacy, empowerment and social change. CASA operates the area’s 24-hour crisis hotline and 100-bed emergency shelter, offers community support groups, provides courtroom advocacy, assists the Child Protective Investigative team and conducts community and corporate training. In addition, their Peacemakers Program teaches anti-bullying and healthy relationship curriculum throughout the Pinellas County school system to end the generational cycle of violence.